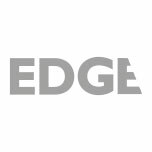 Edge were appointed by Sytner Group to fulfil the role of the Employer’s Agent and Cost Manager on their flagship BMW and MINI dealership development in Sheffield. The project comprised the extensive conversion and redevelopment of an existing industrial building to create a 215,000 sq.ft. dealership for the BMW and MINI brands. A multi storey car deck was also constructed for additional vehicle storage. Our duties included pre-tender cost planning, feasibility options, compilation of the project budget, assistance with the procurement/selection of the project team and specialist consultants, programme advice, compilation of the Employer’s Requirements documentation, coordination of the design team, management of the tender process including tender list, tender analysis and recommendation for contractor selection and contract sum. During the post contract phase Edge fulfilled the role of Contract Administrator and Cost Manager. This included chairing regular project progress meetings, monitoring progress and cost reporting, undertaking monthly valuations, management of variations, liaison with project stakeholders, coordination of project snagging and project handover process and agreement of final account. The project included a significant number of Client variations which had to be managed effectively with close cost control. EDGE provided Sytner with the support necessary to procure their dealer direct specialists trades and manage these trades for changes instructed throughout the course of the construction programme.